We proudly serve a lot of families here at Home to Indy. 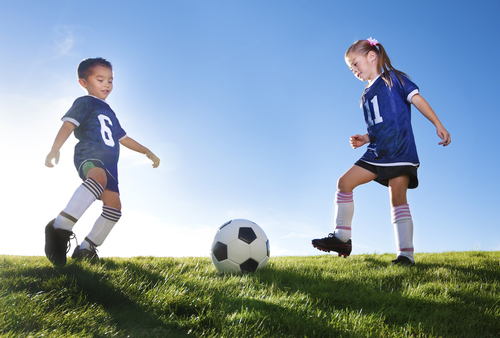 Parents often ask us to recommend local extracurricular activities for their children. But with so many amazing options (from theater to sports to music), how is a parent to choose? There are many factors to consider before committing to extracurriculars. Here are some of the most important ones. The first thing to review is whether your kids are already overloaded. The pressure to excel in academics starts earlier and earlier these days, and many students in middle and even elementary school are coming home with piles of homework each night. Adding more onto their plates might drive an already overworked child to the breaking point. Also keep in mind that it’s very possible to over-schedule children to the point where you hardly ever see them. Would you be comfortable having your child go off to school at seven in the morning and not return home until it’s nearly bedtime? That being said, it’s important for college-bound kids to start in on extracurricular activities that will help with their admissions process later. This may require helping your child reorganize their time (for example, spending an evening with friends rather than a whole Saturday). Needless to say, most extracurricular activities come with a price tag—and some can be very hefty. If paying for the activity is going to cause your family financial strain, it might be best to reconsider or replace it with a more affordable alternative. It’s also important to look at the long-term cost of the activity. While you might be able to scrape together enough to pay for gymnastics or music lessons now, are you prepared to pay for it year after year until your child reaches adulthood if they really like it? Is your child actually interested in the activity, or are you the one who thinks it would be a cool thing to do? Make sure you’re honest with yourself. If you aren’t, you’re setting yourself up for months or years of fights and nagging. Consider starting out with a temporary trial period of the new activity. If a child knows they can decide to drop it after six months, they may be more willing to try an activity you think would be good for them with an open mind. The best extracurricular activities help your child grow as a person and teach them valuable skills that they’ll need later in life, like leadership, working as a team, creativity, or discipline. Don’t choose an activity just because it’s “fun”—weigh the long-term benefits for your child first.